Since abandoning plans to move the state to a government-financed health insurance system, state officials have pursued another way to change the health care reimbursement model for government health care programs and private insurance companies. Lawrence Miller, the governor's chief of health care reform, and Al Gobeille, chairman of the Green Mountain Care Board, have been in the middle of the state's talks with officials in the federal Centers for Medicare and Medicaid Services about creating what is called an "all-payer model." Members of two legislative committees grilled the pair this week about this next big health reform, which the Shumlin administration wants to undertake. "This is being put forward as a positive step," Senate Appropriations Chairwoman Jane Kitchel (D-Caledonia) said Wednesday. But despite a lengthy briefing Tuesday, she said, "We are still not clear what the benefits will be." So what is the all-payer model? "For me, it is an approach to aligning payments across payers that makes sure the incentives promote high-quality outcomes for the least, reasonable costs," Miller said in an interview Wednesday after his meetings with the two legislative panels. It would mean moving away from the current reimbursement model—fee for service—which tends to encourage more procedures and shorter visits with patients. To implement an all-payer model, "We want permission from Medicare to change the way they pay," Gobeille explained Wednesday, also speaking after meeting with lawmakers. The state already has regulatory authority to alter reimbursement for Medicaid and commercial insurance companies. "We want permission to set Medicare rates,"Gobeille said. The state would like Medicare to pay doctors and hospitals based on the providers' total spending for their Medicare patients and let the "providers take responsibility for the health of a population," Gobeille said. On Tuesday, the legislature's Health Reform Oversight Committee, on which Kitchel serves, spent the afternoon trying to get up to speed on the status of the all-payer initiative. Miller and Gobeille reported they hoped to reach agreement with federal regulators about the Medicare changes by the end of the year. The two officials said the timeline was necessary in order to launch the all-payer model in 2017. Gobeille explained that commercial insurers would propose rates for 2017 next spring, so they would need to know what the reimbursement model is. Similarly, Miller noted that the state's agreement with the federal government about Medicaid, called Global Commitment, expires at the end of 2016. State officials also want the new Medicaid agreement to mesh with the all-payer model. Miller also suggested there were political reasons for pushing ahead: "We have friendly administrations in Washington and Montpelier. That changes in 2017." Lawmakers on the Health Reform Oversight Committee chafed at the aggressive schedule because the state wants to conclude the deal before the legislature reconvenes in January. "At what point does the legislature weigh in?" 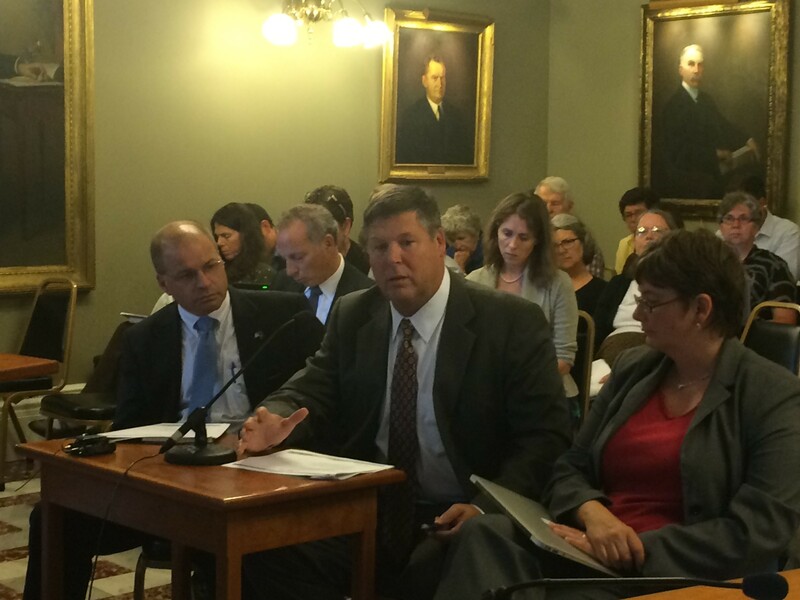 House Health Care Committee Chairman Bill Lippert (D-Hinesburg) asked Miller and Gobeille. Senate Finance Committee Chairman Tim Ashe (D/P-Chittenden) observed, "At present, there is no clear role for the legislature." Gobeille tried to reassure lawmakers: "If this isn't a good deal for Vermont, I will be the first to say so."